Randa Babili is a passionate facilitator and certified practitioner of Emotional Intelligence and Neuro-Linguistic Programming. Randa has been a student of the Satir Model of Family Therapy since 2007 under the expert guidance of Dr. Janet Christie- Seely at the Satir Learning Center of Ottawa; Sharon Loeschen LCSW, President of the Satir Global Network in Washington; and Dr. Kathlyne Maki-Banmen MA RCC of the Satir Institute of the Pacific in Vancouver. Kathleen Panela-Séguin has a B.A. in Psychology and a Bachelor of Music Therapy. She and her husband, Guy Séguin, have been involved with the team giving the Couples' Worshop since 2011 and have been with the Satir Learning Centre of Ottawa since 2007. They have also been involved in the Worldwide Marriage Encounter Movement since 1997. Rob Burnfield, BSc, PMP, is a past president of the board of the Satir Learning Centre of Ottawa. A long-time member of the organization, he has helped facilitate, MC, and coordinate many of the recent workshops. Along with the training provided by Janet Christie-Seely at the Centre, Rob has received training in Satir methodologies from Maria Gomori, who worked with Virginia for many years, and has received training in conflict resolution. He developed and organized some of the training material that is used for some of the workshops. Rob created and continues to support this website, and has also held the roles of Treasurer and Secretary with the SLCO. Elsewhere, Rob sang as a tenor with the Cantata Singers of Ottawa for many years and, in 2004-2005, during his time as its President, led the search for its new music director. In his working life, he is responsible for software quality assurance and has developed and led training sessions for software applications. Every August, Rob joins other in Canadian composer R. Murray Schafer's And Wolf Shall Inherit the Moon, the epilogue of The Patria Project: eight days of wilderness camping, theatre, and music, an event that, similar to the workshops put on by the SLCO, is time that lets us reflect upon and learn what it is to be truly human. Tom Wright, Janet's husband, is a retired teacher and is the co-coordinator of the Satir Learning Centre of Ottawa. He took a two-year training program in Transactional Analysis and four ten-day Satir training courses with Maria Gomori and John Banmen. Tom has facilitated Satir workshops in the United States, Mexico, Ireland, Korea, Portugal, Azerbaijan, the Czech Republic, Tajikistan, and Canada. He is a member of the Virginia Satir Global Network. Robin Beardsley, MD, CCFP, is a family physician and therapist who has been using the Satir Model since 1989 in Ottawa. She has done many intensive training programs with Dr. John Banmen and Maria Gomori, both of whom, along with Jane Gerber and Virginia Satir, are co-authors of the book The Satir Model. Robin has participated and assisted in many Family Communication Workshops with Janet Christie-Seely, MD, FCFP, over the years. She then lead several Family Communication Workshops at the Satir Learning Centre of Ottawa on her own. She has interned with John Banmen (Director of Training for the Satir Institute of the Pacific) in the training program for counselors teaching the Satir Model in Ottawa. Tom Hutchinson, MD, BCh, FRCP(C) first saw the possibilities of transformative therapy when he participated in a four-day session with Virginia Satir in 1986, which was organized by Dr. Janet Christie-Seely. He completed a four-year Couples' and Family Therapy Training Program at the Jewish General Hospital in Montreal in 1995. He is a palliative care physician in Montreal, working with the families of dying patients and teaching medical students about healing. Previously, as a nephrologist, he applied his skills in family therapy with individuals and groups of patients with kidney failure. Tom has participated and assisted in many Family Reconstruction Workshops with Janet Christie-Seely since 1993. He has interned with John Banmen (Director of Training for the Satir Institute of the Pacific) in the training program for counselors teaching the Satir Model in Ottawa. Sunder S. Arora, MD, FRCP(P), is an adult and child psychiatrist, Assistant Professor of Psychiatry, an Interfaith Minister, yoga teacher and a family man. In his private practice in holistic psychiatry, he creatively combines the Satir Model with other modalities. He recently produced the CD set Be Free Now, a synthesis of his clinical insights and spiritual journey. He is very passionate about the Satir Model because of its potential to transform people, their lives, and the world. Susan Ford is a Satir Growth Model practitioner, having trained with Dr. John Banmen, Satir Institute of the Pacific, and Dr. Janet Christie-Seely, Director of the Satir Learning Centre of Ottawa. She holds a Master's Degree in social work and is a Certified Trauma Specialist. Through her private practice, Counselling for Change, she helps clients explore and change patterns of behaviour that interfere with their full enjoyment of life. In the process, their self-esteem is raised, they make better choices, have fewer conflicts, and live with inner peace. She is a dynamic adult educator with a solid reputation for helping clients move beyond survive to thrive. Murray Lennox is a retired electrical engineer and a longtime member of the Ottawa Satir community. He is on the Senior Faculty of the Inner Focus School for Soul Directed Advanced Energy Healing and plays an active role in developing Inner Focus programs. He has taken the Satir Level I and II Training with John Banmen and has participated in and facilitated many Satir-based Family Reconstruction workshops. Shirley Lennox, a retired registered nurse, is a member of the Virginia Satir Global Network and a longtime member of the Ottawa Satir community. She is on the Senior Faculty of the Inner Focus School for Soul Directed Advanced Energy Healing and has a private Energy Healing practice in Ottawa. She has taken the Satir Level I and II Training with John Banmen and has participated in and facilitated many Satir-based Family Reconstruction workshops. 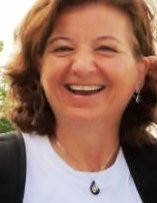 Suzanne Grenier, BA (Psychology and Sociology, Queen's University, Kingston), LLB (Civil Law, University of Ottawa), was a longtime member of the Ottawa Satir community. Suzanne had taken the Satir Level I and II training courses with John Banmen and had coordinated and facilitated many of the Centre's Family Reconstruction workshops. She had been the SLCO's first president and had been instrumental in developing the Centre's by-laws and guiding the Centre to its status as a not-for-profit organization. In her career, Suzanne had been the federal government lawyer who advised on Land Claims for Aboriginal people and the transfer of Northern Indian Affairs to the Yukon. Suzanne died in October 2007 of a cerebral aneurysm at the age of 53. She is missed very much within our Ottawa Satir community.